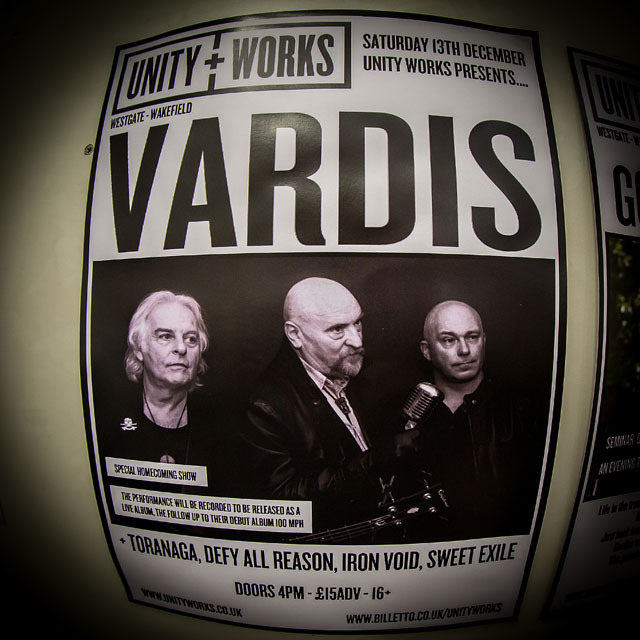 Share the post "Gig review: VARDIS – Unity Works, Wakefield, 13 December 2014"
So if you happened to be around in the late 70′s early 80′s you would have experienced the whole NWOBHM movement and if you were lucky enough you would have gone to some amazingly memorable gigs, some memorable for the wrong reasons and some because you were witnessing the birth of some of the finest bands to come out of the British Rock Metal scene. A number of these bands survived albeit with many lineup changes and some unfortunately didn’t. 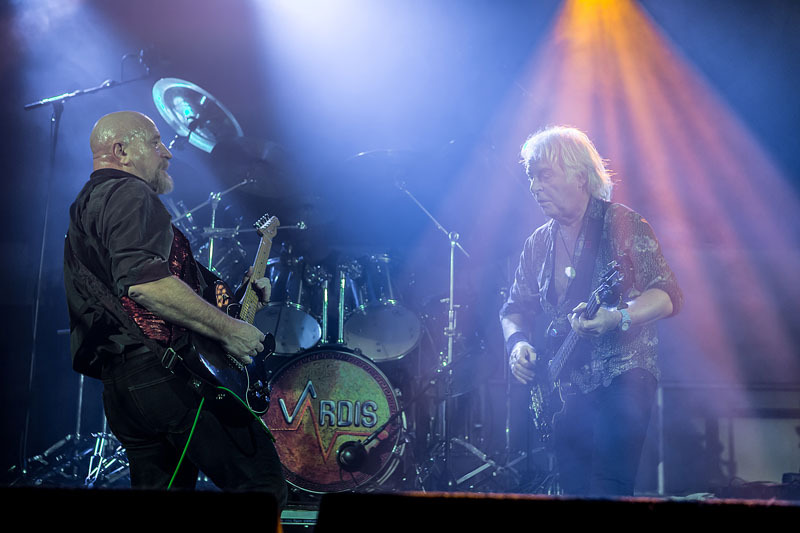 Vardis despite being one of the better bands to come from the scene decided to go their own way in the mid 80′s due to management issues. 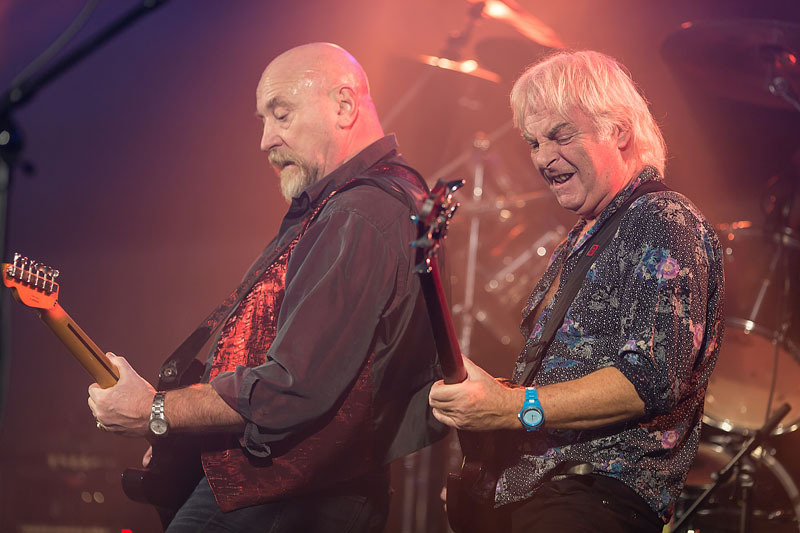 During their time though they played some amazing gigs and released some outstanding albums, none better than their debut live album 100mph, also during this time guitarist and front man Steve Zodiac was voted in the top 15 guitarist by Sound readers’ poll. 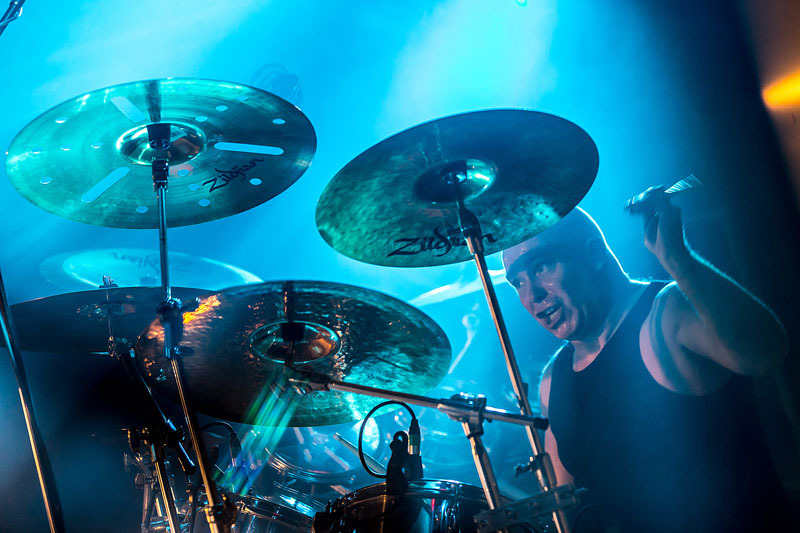 So fast forward 25+ years and drummer Gary Pearson is reportedly getting the band back together and as plans come to fruition they make their first UK appearance at Brofest in March 2014. 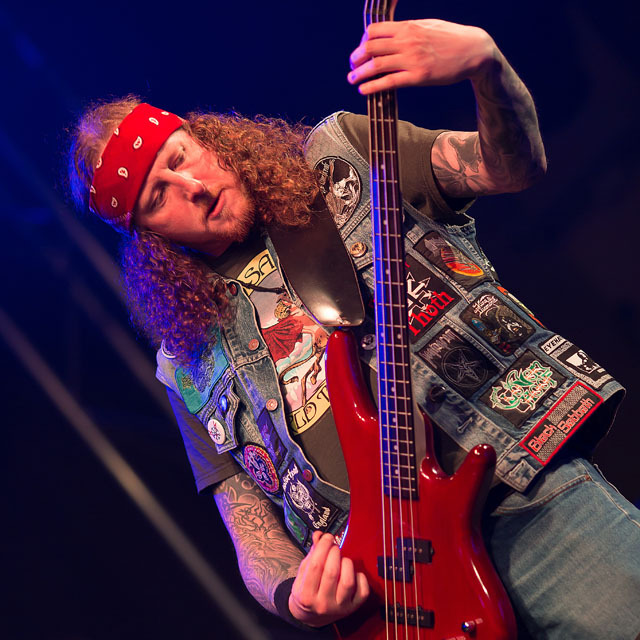 Since then they headlined at Rock and Blues Custom show and also played a killer set on the main stage at Hard Rock Hell, Pwllheli to name a few. 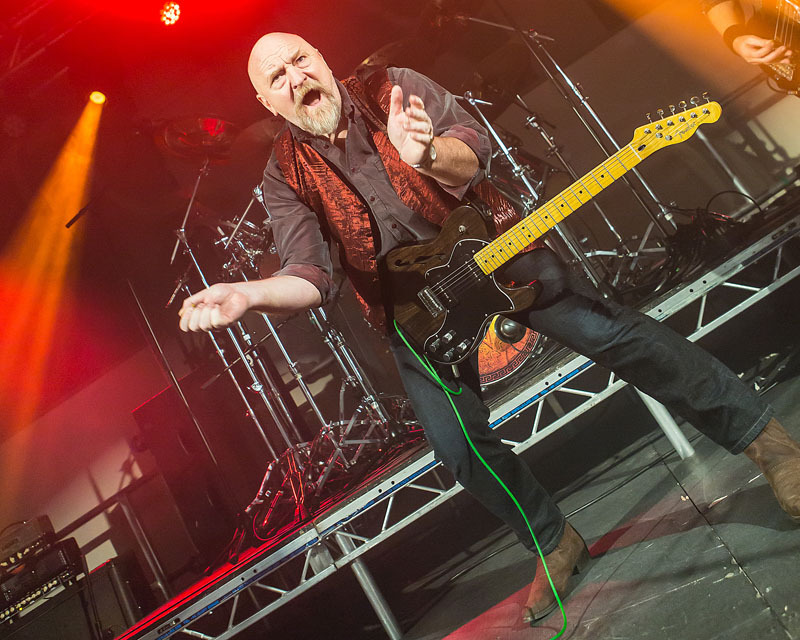 Here we at their homecoming show at the recently reopened Unity Works in Wakefield a place which has brought back great memories to them as mentioned by Steve in a recent interview. 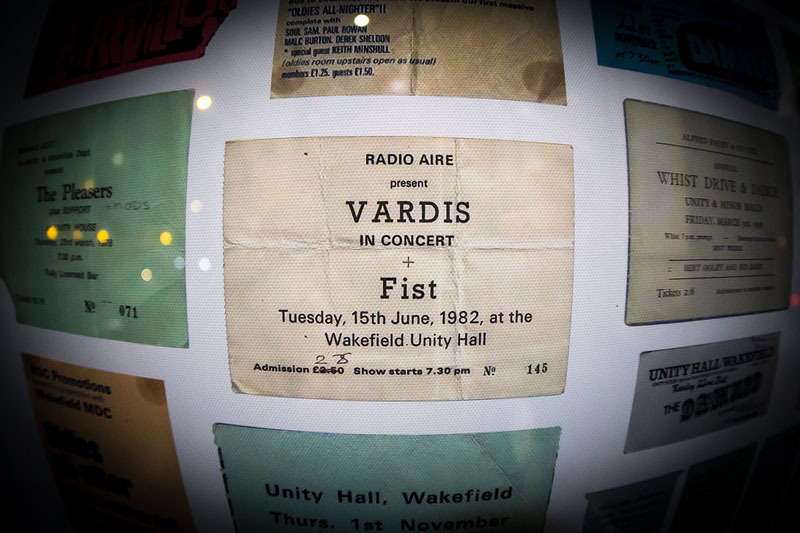 Indeed in the reception there is a board of old tickets from past event and a Vardis ticket sits there from their 1982 gig. 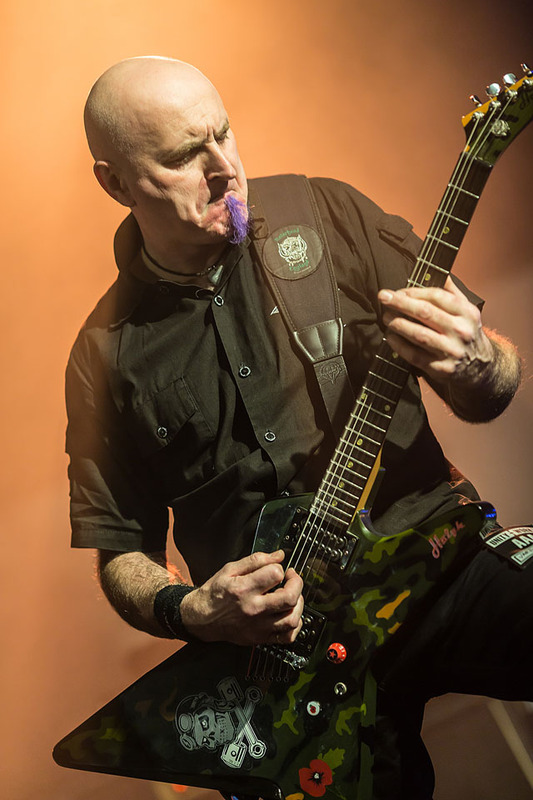 They are recording the gig tonight and along with material from the other gigs this year will be releasing a live album later next year along with a new studio album next March which Steve has being working on in his studio. There are a number of support bands tonight, unfortunately Sweet Exile had to pull out so first band up is Iron Void, a Wakefield based 3 piece Doom Metal band who formed back in 1998. Most of their set came from self-titled album ‘Iron Void’ which was released earlier this year. Kicking off with ‘Tyrants Crown’ we are hit by thick slabs of fuzz and some great melodic bass lines. ‘Outlaw’ starts with Steve Wilson hammering out a great deep bass line and was my fave track of the set. A really interesting and enjoyable set. Defy All Reason have made quite a trip to be here this evening all the way from Wrexham, a band we have seen on many occasions including at HRH last year. They have a heavy southern rock sound and have some great catchy riffs. 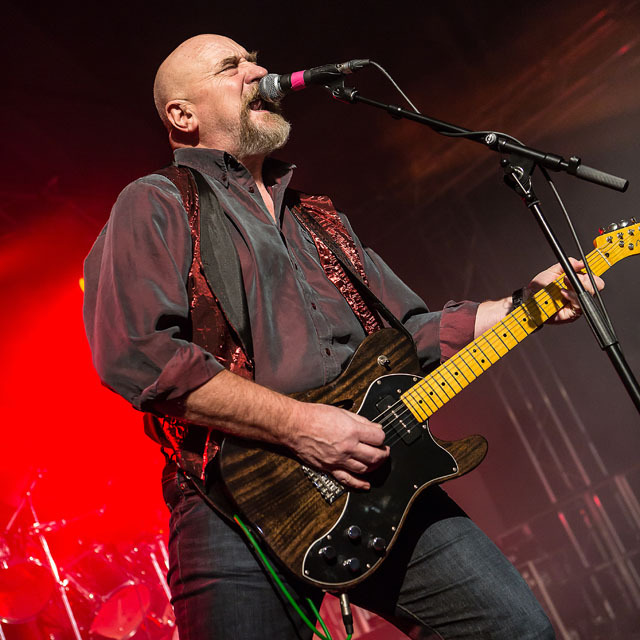 ‘Shake It’ shows their heavier style with a driving guitar riff and gritty yet clear vocals as does ‘Blame It’, The guitar mix between Gavin Jones and Darren Jones works well with them both adding great guitar licks to the mix and giving the sound that thick rhythm section. Popping a quick Bon Jovi cover into the set they finish with the hard rocking ‘Badblood’. Another great set from these guys. 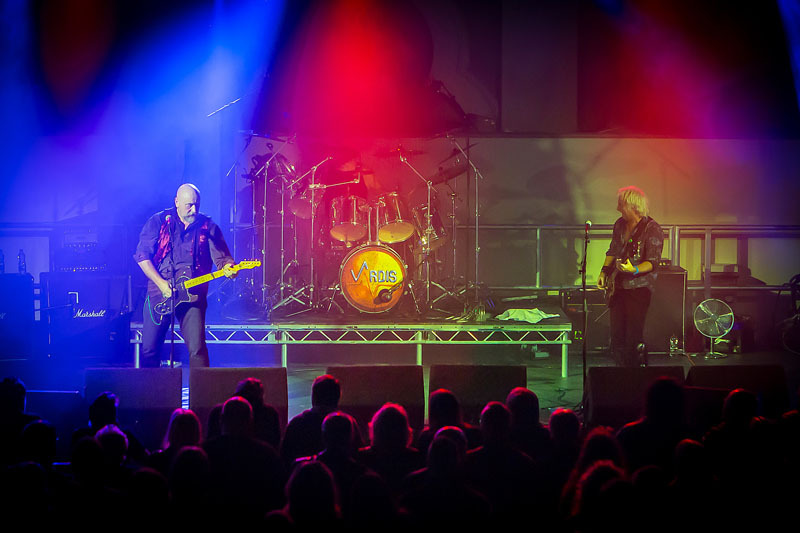 Final support tonight comes from Toranaga who like Vardis have had a difficult run over the years but when the core of the band reformed back in 2010 they got their impetus back to write new material and in 2013 released ‘Righteous Retribution’. 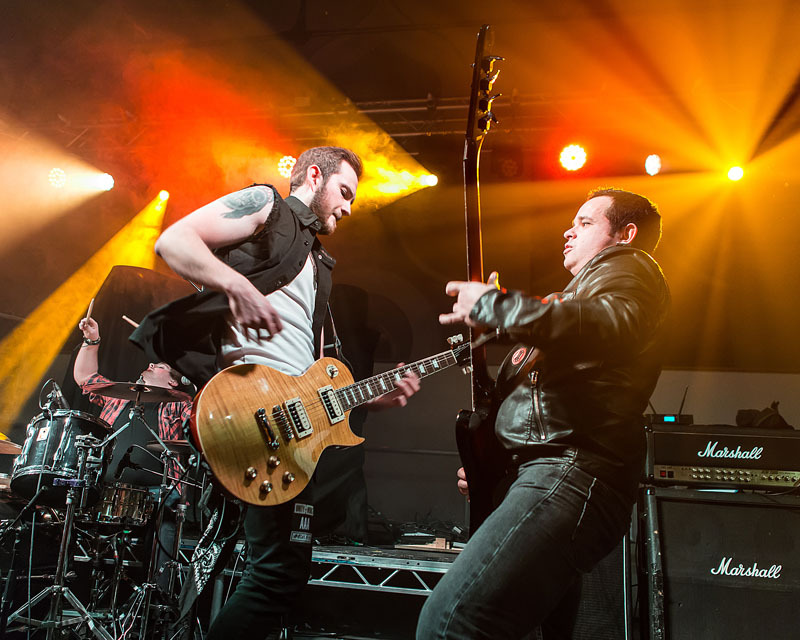 They are an out and out Thrash band and the two new guitarists Shane Haigh and Johnny Rodgers give the band their classic sound. I confess to not knowing any of their tracks but was really impressed with the set as were the now ever swelling crowd. 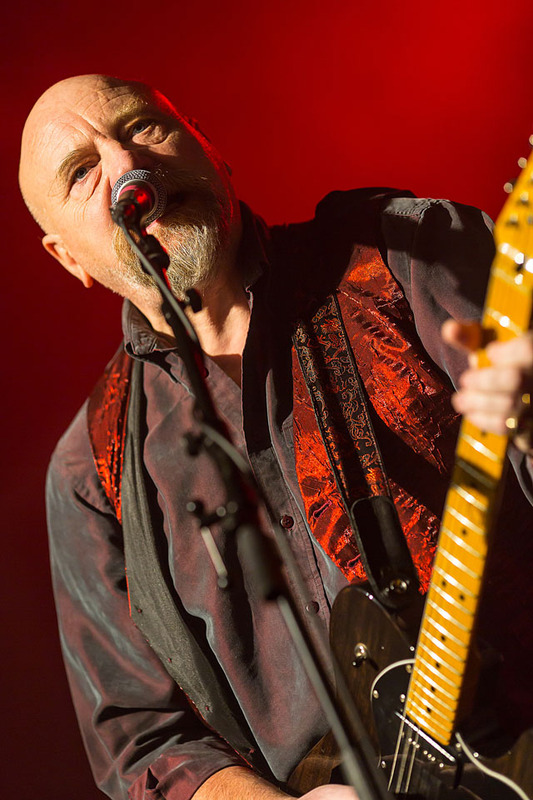 So the time has come for Vardis to take to the stage, listening to Steve earlier in an interview he said that music is the one thing that makes you feel 16 again and he is very true; a live gig, whether playing at or being in the crowd, transports you back in time to when nothing mattered apart from the music. 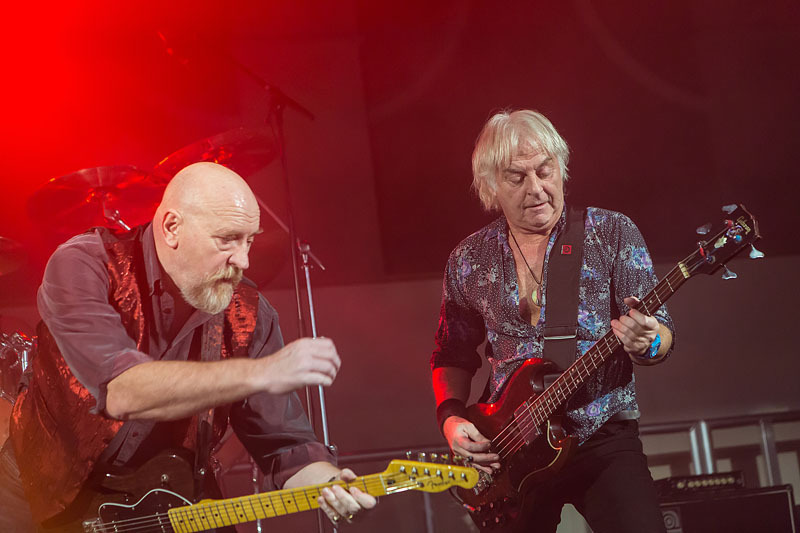 Gary Pearson installs himself behind his custom drum kit and Terry Horbury takes up his bass, Steve Zodiac strolls on stage and back in the 80′s he would have been barefoot with his long blond hair covered in talc ready to swing it back and unleash a white cloud, alas some things haven’t lasted that well. Steve gladly announces ‘it so good to be back, it’s been over 30 years but it seems like yesterday’. Most of the fans can guess the setlist or a least have a good go and we kick off with ‘Situation Negative’ and ‘Move Along’. Mixing it up a bit they throw in ‘Mods And Rockers’ which as far as I know they haven’t yet played at any of these reformed dates. 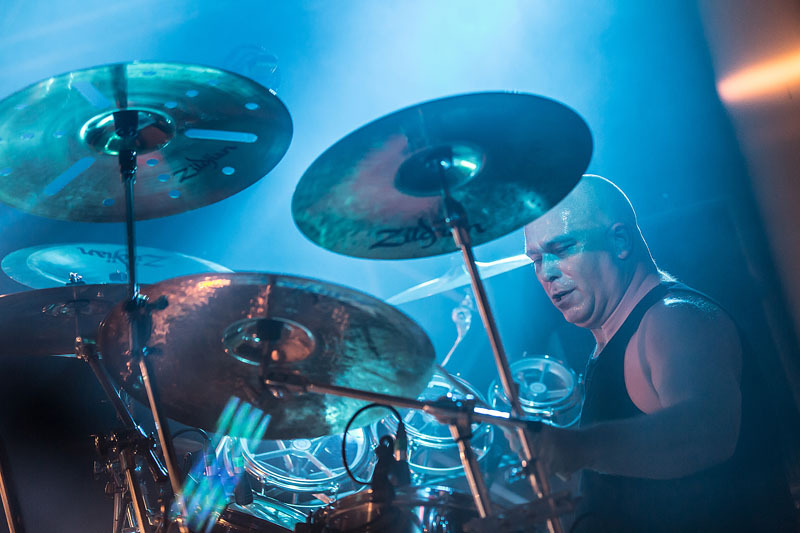 Gary although barely visible behind his towering kit was hammering out the beats and this linked with Terry’s steady and powerful bass playing gave Steve the freedom to power out the riffs and licks that all made the sound tight whilst they all looked relaxed and enjoying the gig. Powering through the rest of the set they finish with ‘Shoot Straight’ and ‘The Loser’ before an encore of ‘Let’s Go’ and ‘If I Were King’, noticeably missing a couple of tracks off the setlist. For those hoping for some new material it looks like we will all have to wait until the release next year. All in all a great night and the great homecoming gig, the fans that had made the effort to come along witnessed a great set with the band performing at their best. Who know what dates they will be playing next year but at present the only confirmed things are the new studio album and a new live album later in the year. Iron Void : Tyrant’s Crown, I Am War, The Mad Monk, Those Who Went Before, Outlaw, Suicide Sorcerer. Deft All Reason: Shake it, Wanted Dead or Alive, I Run, Behind Those Eyes, Blame It On Luck And Rock n Roll, Badblood. 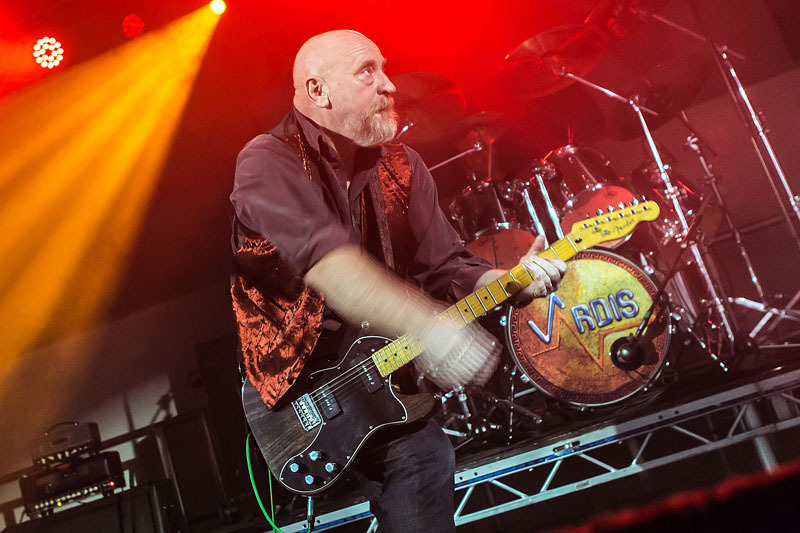 Vardis: Situation Negative, Move Along, Lions Share, Dirty Money, Gary Glitter PT1, Mods and Rockers, Radio Active, Don’t Mess, Radio Rockers, Worlds Insane, Love Is Dead, Streaming Along, Shoot Straight, Loser. Encores: Let’s Go, If I Were King. 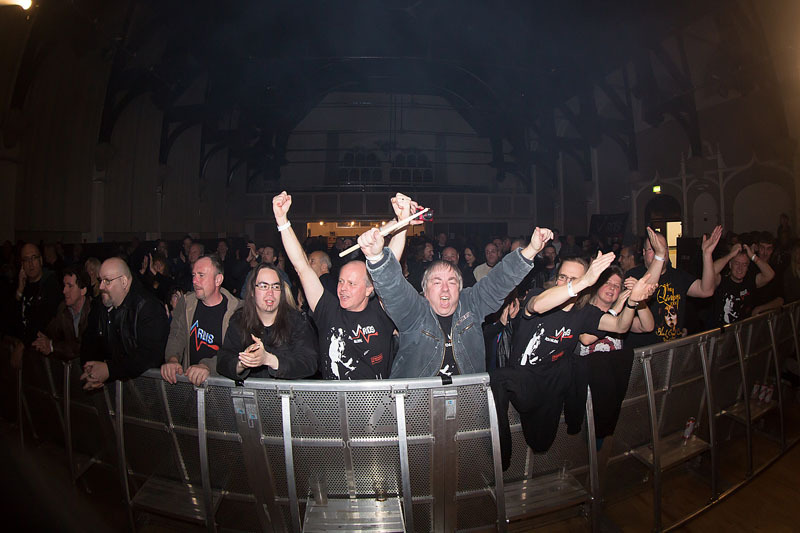 This entry was posted in All Posts, GIG REVIEWS and tagged 13 December 2014, Defy All Reason, gig, heavy metal, Iron Void, NWOBHM, review, thrash metal, Toranaga, Unity Works, Vardis, Wakefield. Bookmark the permalink.